It’s something of a transfer triangle – three players making moves, with each of those moves dependent on the other two. It started with Arsenal making a breakthrough in their chase for Dortmund’s Pierre-Emerick Aubameyang, a player they have been linked with for most of this winter. 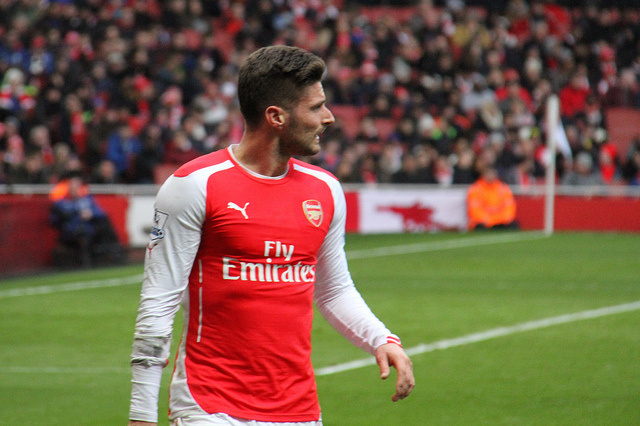 That freed up Olivier Giroud, who has been a disgruntled bit-part player at Arsenal for a good while now. The past 24-48 hours have seen Chelsea linked with the Frenchman, a player who holds the title of top scorer as a substitute over the last three Premier League seasons, with 13 goals. 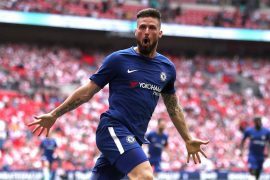 Several mainstream English outlets, including the Daily Mail and The Telegraph, report that Chelsea have agreed to pay £18m for Giroud, who is expected to ink a one-and-a-half-year contract with the 2017 English champs. What that means – as is being reported by the same sources – is that Michy Batshuayi, Chelsea’s own bit-part striker, gets to move to Dortmund on loan. That’s despite a great showing in Sunday’s FA Cup win over Newcastle, during which he instantly transformed from ‘nearly man’ to ‘main man’ with two first-half strikes. So that should complete this sensational striker merry-go-round with all parties involved seemingly set to benefit. The only people who might be left with the January blues are those Chelsea fans who may have hoped to see Edin Dzeko rather than Giroud donning the blue of Chelsea. Up until early on Monday, the towering Bosnian seemed almost certain to be confirmed as a Chelsea player before the end of the month. “He has a foot in London, he will go to Chelsea…” were the confident words of one Massimo Briaschi, a respected Italian football agent about the transfer speculation. But there were hurdles hampering the transfer, and it seems those hurdles have proven too big for Roma, Chelsea and the player himself to overcome. About Batshuayi, the Italian added: “Yeah, he is in contention for tomorrow’s game. I don’t know (about joining Dortmund) but now he is a Chelsea player and in contention for tomorrow’s game. I have Morata injured and don’t have other options, with Willian injured.